blue cruise olympos, blue cruise in olympos, boat trip in olympos, boat trip olmpos, yacht charter olympos, blue voyage olympos, cabin charter in olympos, cabin charter olympos, blue voyage in olympos, olympos yachting turkey, 4 days 3 nights boat trip, 4 days & 3 nights boat trip in olympos, 4 days 3 nights boat trip in fethiye . 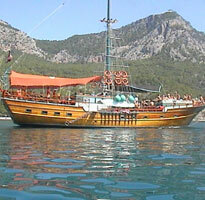 4 days 3 nights boat trip from fethiye, 4 days 3 nights boat trip from olympos. Day 1 : Bus Transfer from Olympos to Demre. St. Nicholas Church - Rock Tombs Myra - Shopping. Boat departs around 2pm from Harbor Andriake / Demre. Pirates Cave - Gokkaya Bay / Smugglers Inn Disco (1st night). Day 2 : Sunken City Kekova - Simena Castle - Ufakdere - Yacht Harbor Kas - Firnaz Bay / Kalkan (2nd night). Day 3 : Butterfly Valley - Blue Lagoon Oludeniz - St. Nicholas-Island (3rg night). Day 4 : Tarzan Bay - Your boat cruise ends around 4pm at Yacht harbor Fethiye.